Enjoy the benefits of a hotel near Nub's Nob when staying at our Harbor Springs hotel, conveniently close to all the top attractions. Are you in need of a hotel near championship golf courses or a hotel near Little Traverse Bay? You're in luck, because our Harbor Springs hotel features a prime location that's near everything you want to visit, see or do in this part of Michigan. 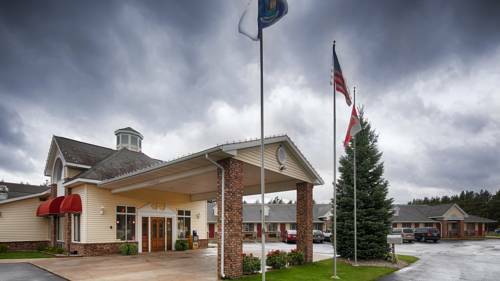 As a hotel near Boyne Highlands, you can experience the beauty of the state up close and personal when staying with us, all at a value that's budget-friendly. We're a family-operated Harbor Springs hotel with a large amount of customer loyalty. Near Mackinac Bridge, Mackinac Island and close to outdoor activities like golf, skiing, fishing, sailing and lake activities, we offer the perfect getaway for families, couples and solo adventure seekers. We are very close to the Zoo-De-Mackinac biking event, where cyclists can ride through the beautiful country side, through the scenic forests, and even along the sandy beaches of Lake Michigan. From the 4th of July parade to the numerous art festivals held throughout the year, you'll get a front row seat when it comes to small town charm. The Tunnel of Trees, also known as the M-119, is an experience like no other. Wineries surround our Harbor Springs hotel, and a tasting or two is the perfect way to spend your vacation. There's a bike trail right behind the hotel that allows guests to cycle all around the bay. Even if you're here for business with Moeller Aerospace, Indian Trails or Daifuku Webb, being surrounded by all the beauty and events makes it easy to squeeze in some time for leisure and fun. Duck into one of the local fine dining establishments, or take to the trails to really get away from it all. Reserve your next stay at the Best Western of Harbor Springs today and prepare for a memorable vacation! �From: All directions. The Best Western of Harbor Springs is located three miles south of Harbor Springs on M-119. 1 mile(s) from Petoskey State Park and Beach, great place to find Petoskey stones! ~20 miles from Harbor Springs. Neon teepee and Indians always make us choose one souvenir shop over the others. This was built, according to its promotional literature, on the exact spot where missionary Father Marquette landed in 1671 to begin saving the souls of the Chippewas and Ottawas. ~32 miles from Harbor Springs. ~30 miles from Harbor Springs. ~40 miles from Harbor Springs.